​In this article, we short-list the top seat cushions currently available in the market. Our aim is to provide you with the essential information needed for you to decide which is the the best seat cushion for your needs. The best seat cushions provide great benefit when it comes to preventing back pains and discomfort. Whether you are on a wheelchair, or is required to be sitting down in your office chair the whole day due to work, health problems arise when the body is not taken cared of. One of the factors that can affect the way that you sit is the quality of the chair that you use. Different types of comfort cushions were created in order to provide better support and relief of pressure experienced by the joints and muscles. It is essential to perfectly match the qualities of the comfort cushion with the needs, preferences and usual activities of the owner. Not doing proper research before you make your purchase will make you waste the money that you spend. If you have been struggling with back pain for the past few days, you might need an ergonomically shaped comfort cushion made by Aylio. 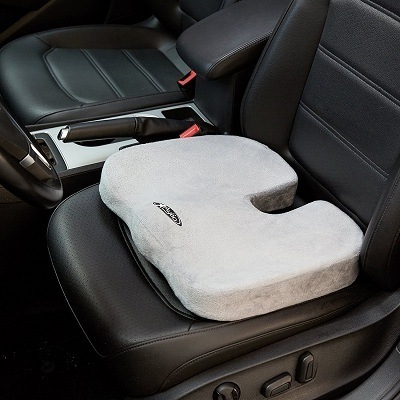 The cut-out at the rear of this comfortable seat cushion aims to give back pain relief by decreasing the pressure at the coccyx, tailbone, and hip bones. The form of the pillow was ergonomically designed to ensure uniform weight distribution, improve posture through proper spine alignment and provide comfort. The cushion does not easily flatten out over time due to the high quality of the foam used. The velour fabric cover of the seat cushion can be easily washed and removed. The dimension is just right at 18 in x 14 in x 3.3 in, and supports up to 250lbs. weight. 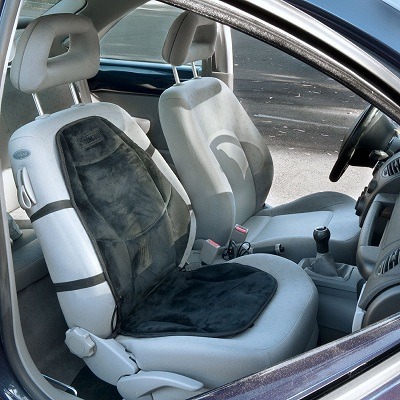 It can be used as a car seat cushion, especially to relieve your back pain. Are you preparing for the cold winter? 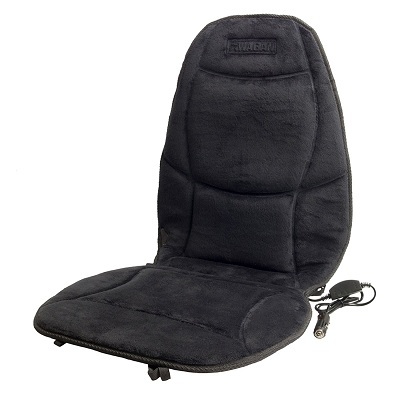 If so, then the Wagan 12 Volt IN9438 Heated Seat Cushion with Lumbar Support is a great comfort cushion for you to purchase. Especially for the long drive, a heated seat cushion makes a big difference in comfort. The soft velour and polyester material ensures that the owner feels warm and comfortable while travelling in cold weather by maintaining a temperature of up to 114 degrees Fahrenheit. Make sure to plug it in your car, and sit on it to start the heating process. This seat cushion also gives great support in the lumbar area. It is highly portable and contains straps to secure it in place when you use it in your car. The way to secure it is to use the straps and wrap onto the upper part of the seat, and then use the lower straps to clip to the metal seat frame. The hooks are to attach under your seat. People who are on wheelchairs, or are always sitting down often develop pressure sores which can be quite painful as time goes by. The Gel "E", having a 3" thickness seat cushion with gel bladder, aims to alleviate and prevent the pain caused by pressure sores by making it possible to redistribute the pressure from the sensitive areas of the person. 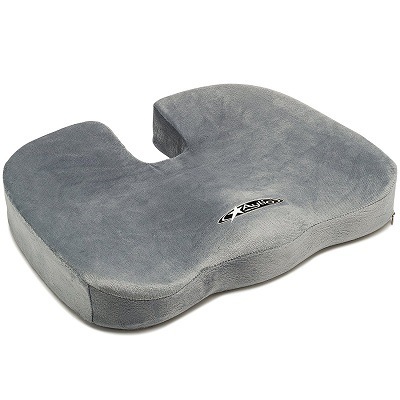 The comfort provided by this seat cushion is due to the gel bladder contained inside the polyurethane foam case. Its cover is made from nylon that has been coated with urethane to make it resistant to water, low-shear, and enables vapor to pass through. The gel bladder is really great at reducing pressure and distributing the weight of the person, even for those who have a huge built. 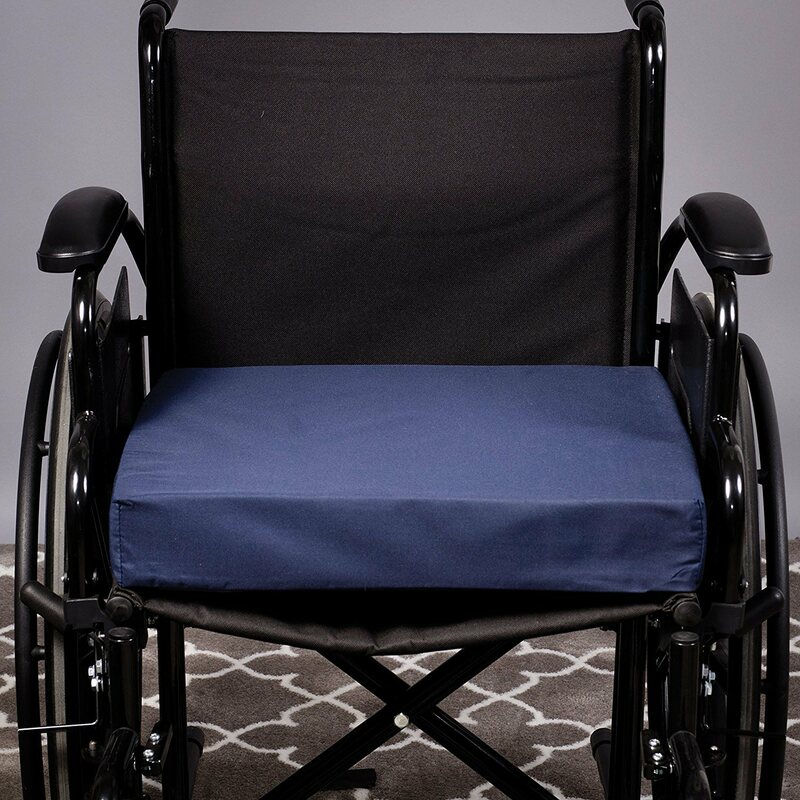 Are you looking for the best seat cushion that can be used in many ways such as in wheelchairs, car seat, office chair or just a normal chair? 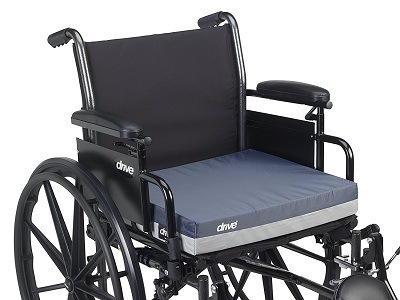 The Duro-Med Wheelchair Cushion with Wheelchair Seat Cushion and Cover might just be the right model of seat cushion for you. This seat cushion's cover is made from polyester and cotton. 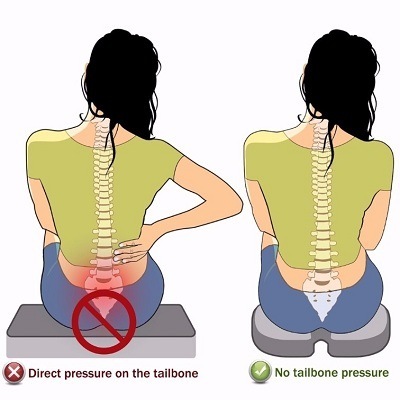 It is superb in decreasing the pressure experienced by the coccyx and back. 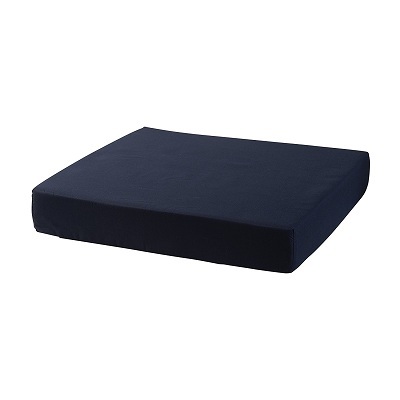 The best seat cushions are portable just like this model which has the dimensions 3 in. by 16 in. by 18 in. It has a high quality polyurethane foam that will not easily get worn out after a few months. Do you need the best seat cushion that can support a huge amount of weight? The Extra-Large TravelMate Seat Cushion was specifically built for this type of job. 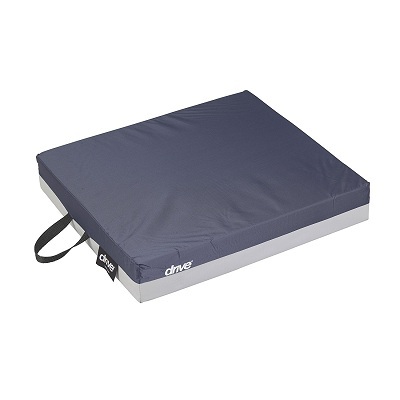 This seat cushion has extra-large dimension that can support weight greater than 200 pounds. The foam used to build this model is furniture-graded and has a high density memory foam to help it perform better. Two words can be used to describe the best features of this comfort cushion: comfortable and durable. Its huge size allows it to relieve pressure more effectively while adapting to the contours of the body. 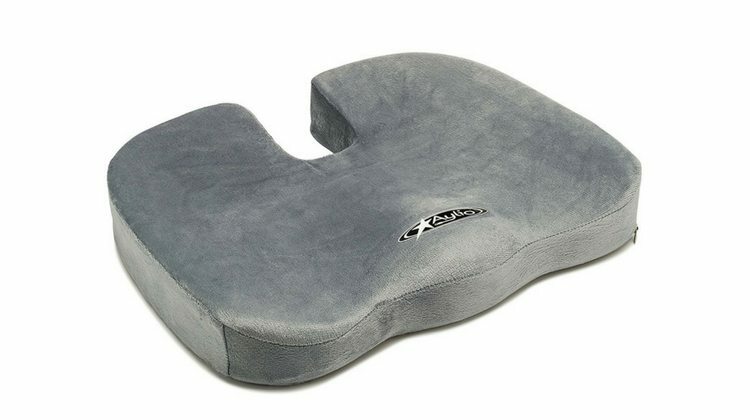 The huge benefit you can get from this comfort cushion is that it can help alleviate pain on your back, buttocks and other areas related to prolonged hours of sitting. Choosing a comfortable seat cushion among the different brands available in the market can become quite tedious. You should know the important aspects to check in order to decide which one is the best seat cushion and avoid having lower back pains. If you are planning to use the best seat cushion in your private office, then you should buy the model that can be secured into your office chair. On the other hand, if you travel a lot, you should go for a model that is portable so that you can still take it with you wherever you need it. People who are always on the road like drivers consider brands that have massage beads as the best seat cushion because this decreases the risk of deep vein thrombosis. Many seat cushions are already made with artificial leather such that they can be wiped quite easily. Other models have a changeable fabric cover. Those that were made with fixed covers are more difficult to wash. Maintenance of the seat cushion should be taken into consideration especially if you have sweaty people that will use the seats on a hot weather. Best seat cushions should be easy to clean to ensure proper hygiene. The form and dimension of a seat cushion is important because it dictates how comfortable you will feel when you sit on it. You should make sure to take note of the measurement of the seat cushion before you pick what you think is the best seat cushion for you. If the seat cushion is too big then this will put greater pressure on your legs. A model that has an exaggerated curve at the lower back portion will do no good for your posture. It should be ergonomically designed to cater people with sciatica. 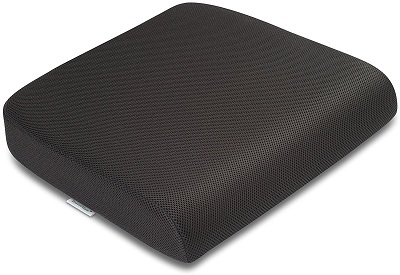 In this review, it is clear that the Aylio Comfort Foam Coccyx Cushion is the runaway winner. With its patented design to specially help with back pain, it even has a lifetime warranty with the manufacturer. The covering can be easily cleaned and it effectively provides back support and comfort.